Finland is phasing out the Rauma class, any thoughts? I just wanted to see if anyone had any opinions on the Finnish Navy phasing out the Rauma-class missile boats that they currently have. I think that they are still pretty useful, but what do I know. Hamina class is the replacement for Rauma class. - they are 27 years old, they are very close to it's end of carrier. Yes, heuhen sums up really good why they are to be gone, the Missile FAC fad and specially those made out of ligth allumium materials has come to end of its lifespan. Back in the late 80's when these ships were designed along with the predecessors, nobody really knew how long hulllife they really would have in continuous hard usage. Couple of years ago, after they were modernised, and lots of extra weigth was added, each member of the class suffered fatigue issues that resulted expensive repairs and made the whole capacity update too costly for the actuall combat value what was gotted out of them. In recent years Rauma's have been specialised as the main ASW combonent of the fleet, but in such task they are hopelessly too small and short legged. Hamina class were not replacement of Rauma's, but replacement of the old OSA-II class, the R-class and the Turunmaa class gunboats, they were just natural progression from the original Rauma design with lessons learned in the 90's from their use and from foreign experiences. 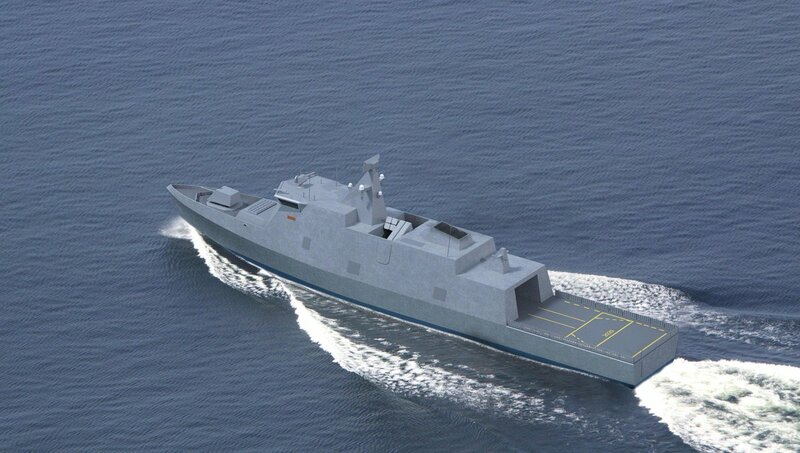 The replacement for Rauma class, as well as the Minelayers will be the new corvette/minelayer multipurpose ships that are now in develpment phase. If the goverment(s) will keep the will to be commited to the original "Fleet 2020" project, we will get 4 about 1500 ton vessels. for me those preliminary concept looks as good as they can get, in the end is up to those shipyard to come with the final design. There is also the lobbyist battle over the replacement fighter for the F-18 Hornets. But the defense policy report said that all of the branches would be getting new stuff, what with the increase in the Army's reserves and the very vague "developing" of the Army.